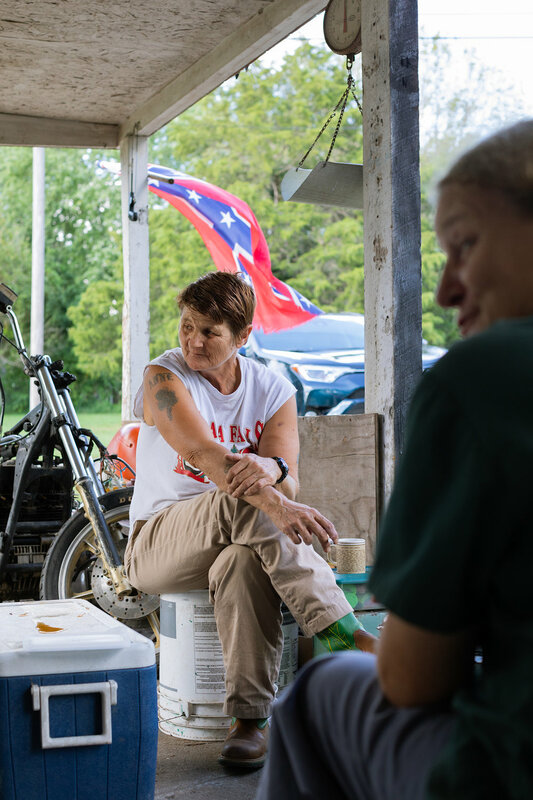 Brenda and Theresa on their front porch in Mountain Grove, Missouri, where a household of six starts and ends most of their days. After everyone leaves for the day, Brenda cleans the kitchen and organizes things around their Mountain Grove home. Brenda and Ashley talking to Vanna who’s washing her hair. With six people in the house and only one bathroom, mornings can be busy and privacy hard to find. 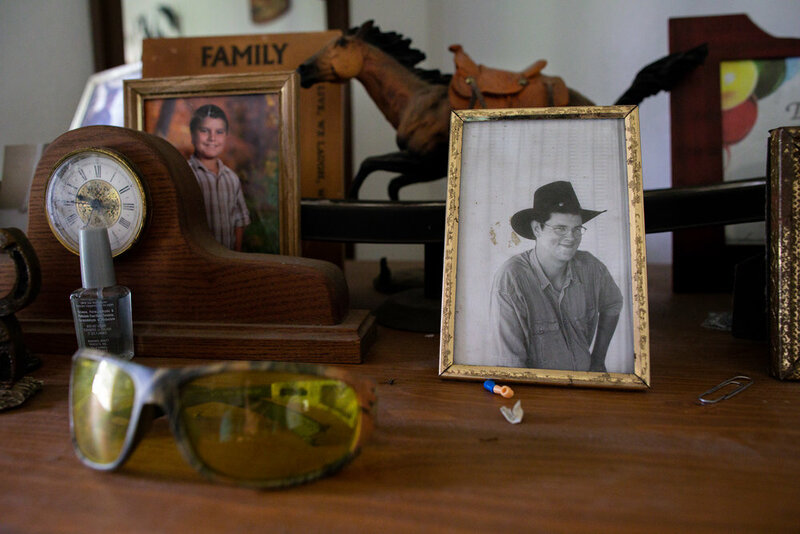 A framed photograph of Brenda’s first born son, Christopher, 32, sits on a television console in their living room. 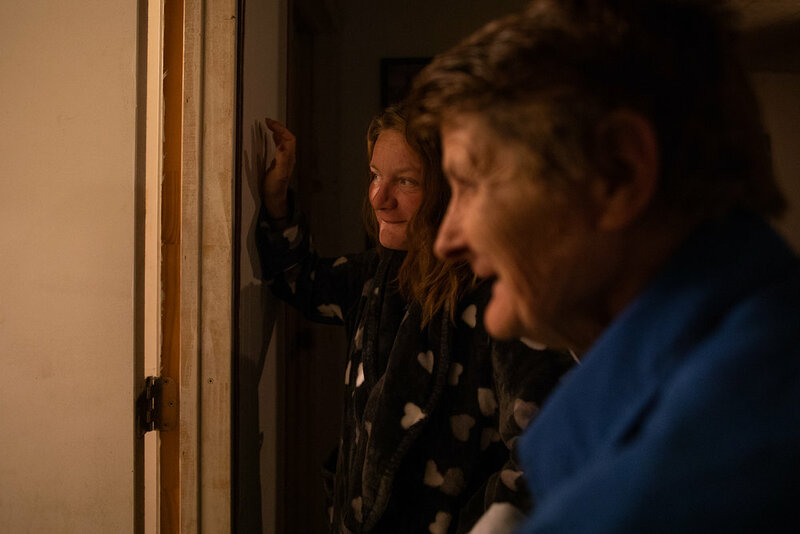 Brenda shares her bedroom with niece Vanna. The room provides little privacy but offers a space for an occasional reflection and solace. Brenda was separated from her parents at the age of 8 and raised by 10 different foster families. Her biological mom and dad still carry a strong presence in her memory. Dreamcatchers and Native American images cover Brenda’s bedroom wall. They are reminders of her biological mother who was part Cherokee. Brenda visits her sister’s grave. Brenda starts a fire early in the morning while the rest of the house is waking up. With no heat in the house, this is the only way to warm up. According to the 2010 census about 28.2% of the Mountain Grove population lives below the poverty line. 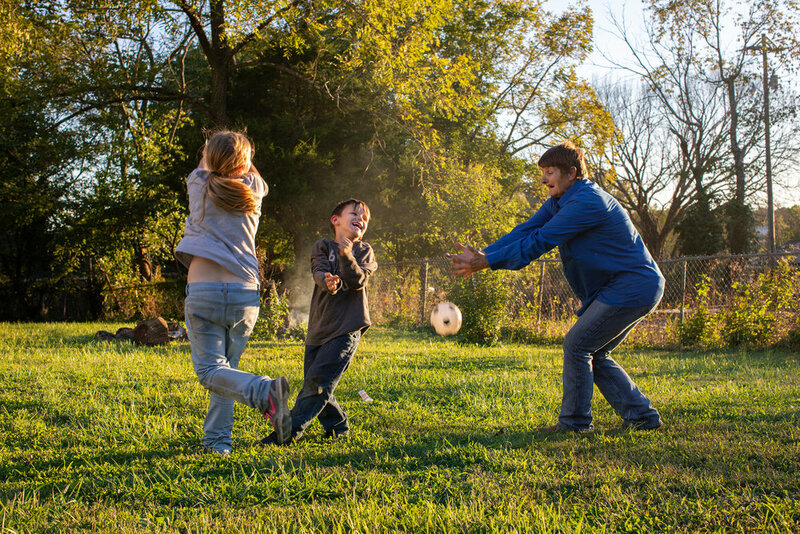 Brenda’s grandson, Jonathan, 6, and their family puppy play in the yard in Mountain Grove, Mo. Brenda keeps warm by a fire on her front porch. She drinks coffee and smokes while waiting to see if her vocation officer will stop by to report good news about Brenda’s job search. Brenda plays with her grandson, Jonathan, and her grandniece, Grace, in their yard in Mountain Grove, Mo. Most of Brenda’s social security income goes towards rent. To cover other expenses, Brenda works at the Simpson’s farm in Mountain Grove, planting strawberries in the fall and harvesting in the spring. Brenda get’s around $8 per hour for planting strawberries at the Simpson’s Farm. They plant about 22.000 of them daily. She is hoping to find a job that would allow her to work indoors during the colder months. Anticipating news from her recent job interviews at Burger King and Days Inn. 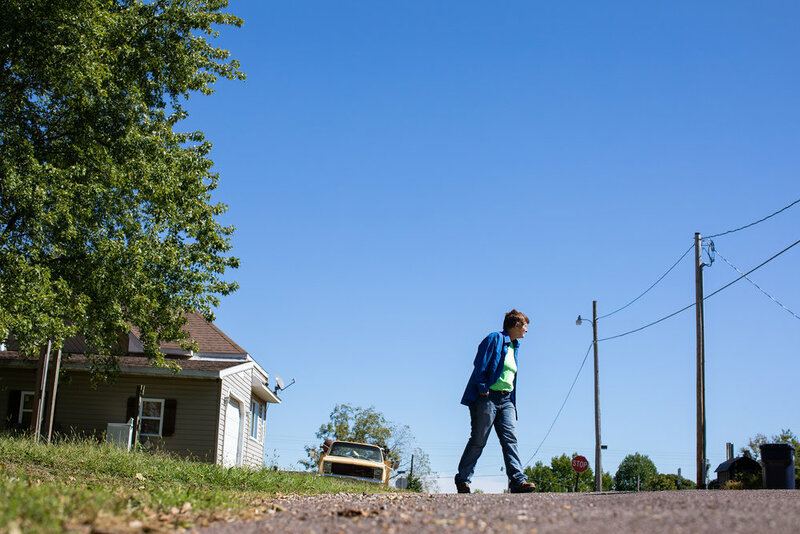 Brenda walks around her neighborhood in Mountain Grove, Mo. Although her difficult past and financial challenges keep her on the edge, she’s determined to keep on going, looking for ways to survive.